The similarities in their facial expressions are uncanny. 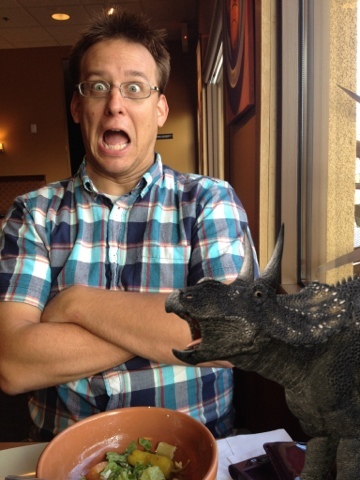 It's not every day you run into a Dino at Panera. my long lost pet, you know what they say about pets and their owners.